Everyday a NEW challenge is Everyday a NEW victory...how awesome is that?!? Everyday you can challenge yourself to do something new and be victorious...every single day. Many people do not challenge themselves out of fear. Fear of failure, defeat, fear that the journey will be too difficult, fear of simply the unknown. Take that fear, drink it down and take on the challenge anyway. Victory is the reward for discipline, dedication and the courage to take on that fear, accept the challenge and eventually succeed. My new workout/training program is a bit of an adjustment for me. I am lifting in ways that I have never done, more like an endurance athlete training for a big race. My objectives for my next bodybuilding show are different and with that objective, I have to remain open minded and take on this new challenge and training style. Yesterday, I got a virtual face slap from my trainer when I was lifting too heavy during my warmup set. I trust Andrew to coach me towards success and with that I have to lay down everything that "I think I know" and take on this new training challenge with confidence and trust. How are you challenging yourself everyday? If you are not challenging yourself daily, then ask yourself when was the last time you accepted a challenge? Can you remember? If not, then tomorrow is a good day to let go of the fear that is holding you back, give up the excuses and take on a challenge. Everyday victory can be yours. Today, I was victorious. Were you? Back off the mountain and directly into the gym. That is how I roll. Training hard feels good. Well maybe not your first two weeks of training if you have been on sabbatical. The beginning of any new exercise program or change in your current exercise program can leave you feeling less than great. The bright side is that once you get over that beginning hump in any workout, you will start feeling like beast mode on blast after your body is tuned up and ready to train. Right now, my beast mode is on blast from the past few weeks of hunts and heavy packs leaving me feeling tuned up and ready to train. HARD. 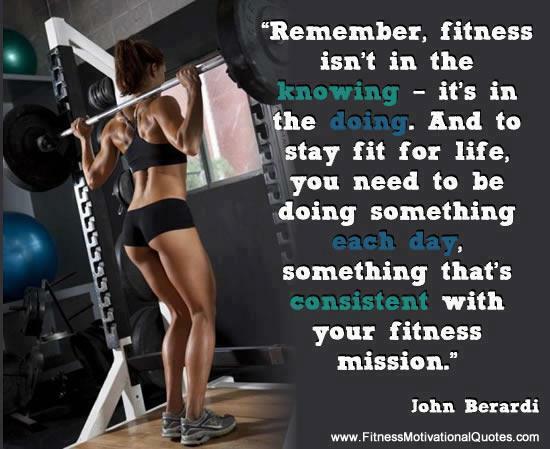 If you are not feeling tuned up and ready to train, don't slow down, don't quit. 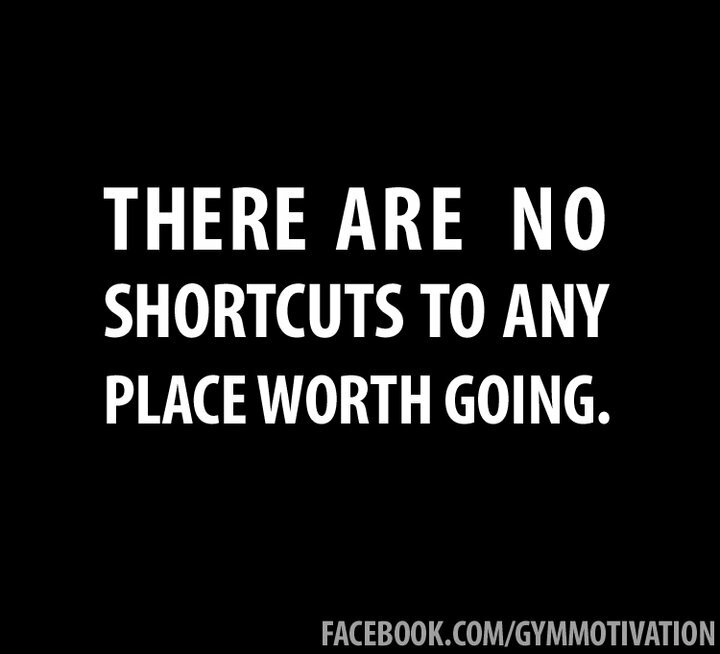 It does get easier and you do start to not only enjoy your workouts but look forward to them. Everyday, I set a specific "To Do" list of work that needs to be accomplished and when my prioritised items are complete, I reward myself with some hard time in the gym. Get in the groove and you too will feel the same way. Lower reps and increase weight on subsequent sets of primary exercises (*). Secondary sets (-) remain constant with the exception of various pushup techniques. There is no rest between exercises. Oh boy did I ever NOT want to workout today in 98 degree heat. The only thing that got me into the gym was knowing that later this week was a holiday and I would soon be in full fledged "holiday" mode. Not to mention needing to work off my "Beer Run" calories from yesterday. When the temperatures are high it is critical that you drink water and stay hydrated all day long. Try to drink at least 6 liters of water on hot high activity days. Also, be sure to camel up before our workout, meaning that you drink a bunch of extra water before you start to sweat during your workout. Although I felt like throwing up after crossfit, I did not and I feel great having completed another perfect day of training!!! NO EXCUSES! Waking up today, I had sore muscles and could feel my Monday's crossfit WOD all over. With a couple of Aleve down, I carried on and I trained HARD. Sheep shape does not come easy. Every BODY differs so much. Mine, is designed for excessive amounts of work, I thrive on long durations of physical steady work, while others have speed and graceful, fluid movements. In crossfit today, my lack of graceful, fluid movements was downright embarrassing. I have no coordination and I tend to want to muscle through the movements. My brain seems to have a disconnect when it comes to learning how to apply technique. My point here is that no matter where you are in your fitness journey, we all feel stupid in the gym sometimes. If you have a fear that people are watching and judging what you do in the gym and that is keeping you from going, get over it! People may watch you and you may feel dumb but you are still working hard towards achieving your goals and you are better off than rocking the couch. I do believe that in time, I might develop some grace, but in the meantime, I will keep trying. Armour 39 Report: Had a bit of a malfunction but got 993 Calories out of it. 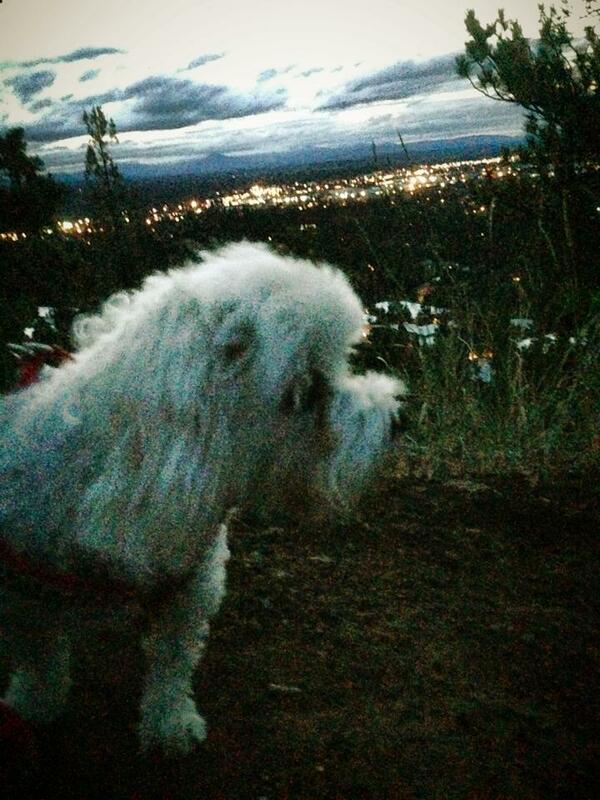 Zoie was crazy hyper so she took me on an evening hike up Pilot Butte. Last night I made it home from my most recent 9 day road trip black bear hunting in Idaho and attending another MagPul Dynamics shooting school. I am looking forward to spending the next few weeks at home, getting articles wrote, dehydrating food, scouting for elk, filming some blogs and most importantly TRAINING in the gym!!! 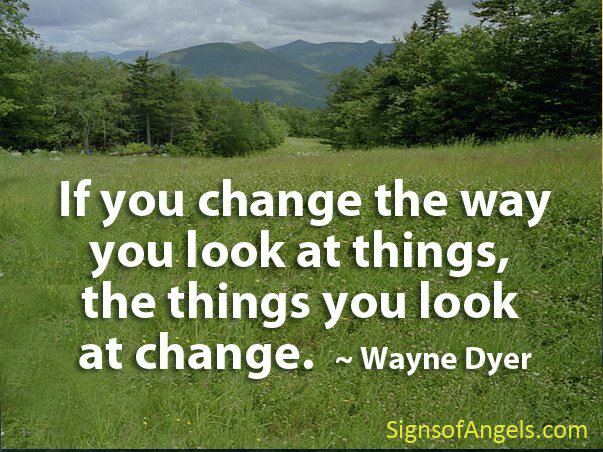 Once you have defined WHAT your goal is, you have to do some soul searching to define the purpose behind your goal. Purpose is the WHY that makes you desire the goal. Without purpose or a reason behind the things that you do or want to achieve in your daily life, you can end up quitting before your goal is actualized. The PURPOSE is what keeps you trying long after you have ran through all of your excuses in your mind. With PURPOSE you never quit! I have made it my personal vow to give it everything that I've got in the gym during this time at home in preparation to film another Stone Sheep hunt in Northern British Columbia. Looking forward to potentially 13 days with a 60 pound backpack on in some of the steepest, roughest terrain in the world, I have GOT to get in fantastic condition in a very short amount of time.That is my fitness PURPOSE. Today I was an animal in the gym and gave it everything that I had.Trust me, without purpose, I would have quit well before my 2 hours of cardio was over. With my purpose in mind, I kept going and did not quit. Tonight my workout tonight was tough, really tough but with that being said, I managed to set a personal record on my deadlift at 195#. I believe that I could have gone heavier.I will save a new PR (personal record) for next time. Crossfit has not gotten easier, I have gotten stronger. Tonights workout was one of my favorites the Cindy which basically equated to 5 pull ups, 10 push ups followed by 15 air squats. We did as many rounds as were possible in a 20 minute time frame. Even though I thought I was going to throw up after it was all said and done, I once again set a personal record completing 18 rounds. Pushing my body like this helps me identify where I am getting stronger and where my weakness lies. I can honestly say that the air squats were like a nice breather but the push ups are what killed me! So, I must conquer where I am weak...push ups here I come!! It feels so good to be feeling stronger when a couple short months ago I was so sore and tired that I felt as if I had been beaten with a bat and then trampled by horses. When you start lifting, it is important to know that the beginning is always the hardest part and it does get easier; you get STRONGER. Today, I found myself back on the road. My destination, Sidney Nebraska to the Cabela's World Headquarters. What does that mean? To me it means that you make the most out of everyday and every workout no matter what your age, current level of fitness and physical location is. I do not always have access to a gym or a crossfit box, so I do what I can with where I am, no matter my location.That may mean hitting up the hotel gym, creating a workout that I can do in camp or simply hiking the hills with my pack on during the hunt. I evaluate where I am, what I have access to, how much I have time for and I make the best of it. The great thing about going to crossfit is that there are so many really strong really fit ladies in there. I look up to these ladies, they motivate me to work harder, lift more frequently so that I can get stronger and have better endurance. This is healthy competition and I may not be the youngest or the strongest, but I do my best and always strive to be better each day than I was the day before. Everyday is an opportunity for us to improve, to be healthier, make better food choices, all taking the best care of our fragile human frame and health. Today, my workout was in a hotel gym. I tried to copy the Oregon Crossfit WOD but did not have the needed equipment, so I modified and did the best I could with what I had access to. Success requires hard work, determination and discipline. Nothing in life worth attaining comes easily and without sacrifice. Everyday, I start out with a list of things that I need "To Do." One of the best feelings of accomplishment and reward is actually crossing those "To Do's" off of my list. Many days, I don't get everything done on my list, but it has become a work in progress for me. This simple act helps to keep me on track everyday. I can easily determine a level of priority based on that simple list. Deadlines for magazines and video blogs are laid out, simple errands and even the gym is on the list. Making sure that I schedule my workouts are as important to me as checking and returning emails in the mornings. The gym must be done!!! In the past few weeks, I can name a one hour period that I sat on my couch to watch a movie. That is it! Less than an hour in a months time spent on the couch. Working hard and achieving success requires sacrifice. I am willing to give up that time on the couch in exchange for a good sweat in crossfit or at the gym. It is worth it to me to work hard so that my body does not let me down come hunting season. 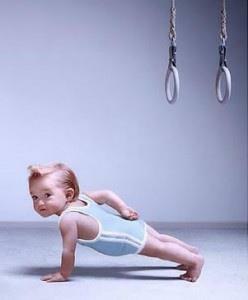 Without a healthy body, success is much more difficult if not impossible to completely enjoy. So tonight before you go to bed, make a list of what you need "To Do" tomorrow and make sure your workout is on the top of that list. Enjoy the success that comes from hard work and sacrifice. Trust me, it's worth it! Exercise really does make you happy. The feeling that comes from your clothes fitting better, getting a few extra push ups in, running faster and farther, ALL of these things make you feel accomplished and HAPPY. Setting fitness goals can start small and seemingly simple, for instance, walking for 45 minutes straight, then later on when you are feeling like you want a challenge, maybe jog every third song that plays on your iPod, then work up to every other song, pretty soon you will feel good just jogging. Your progression takes time but each milestone you reach will help you feel HAPPY about what you have accomplished. Get out today and exercise, no matter where your fitness level is. I promise, afterwards you will feel accomplished and HAPPY!!! Seize the weekend!!!! Today, I drove home from my turkey hunt and was hit instantly with what felt like 1000 things to do. To top it off, I had a headache. The "your pulse is in your head" throbbing kind. With having missed three days consecutive in the gym or ACTIVELY hiking in the field, I left all my excuses at the door of my crossfit box. Back on the road today...destination the Oregon Coast for a public land, DIY black bear hunt. Before I could leave town, getting in my workout was a priority. No easy out here...and trust me, it was worth the effort. My beloved dog, best friend and love of my life died in my arms today. Gus filled a whole in my heart that I didn't even know I had. I lost part of my soul today, the part that Gus has filled since I was 19 years old with his unconditional love and devotion. Gus was my running partner and for the past 13 years part of my daily motivation to get outside in the world and exercise. Despite having to lay him to rest today, I felt that he would want me to get out there and exercise for him. If the rain were not pouring, I would have walked at one of our favorite spots. With bad weather, I went to crossfit instead. No matter where you go, please keep in mind that we are all fighting some sort of battle; sometimes it's nice to just hear a kind word. Today was a great day followed by a great workout.